Entertainment and Fashion Galore: Canon Digital SLR Camera Is Coming Over! 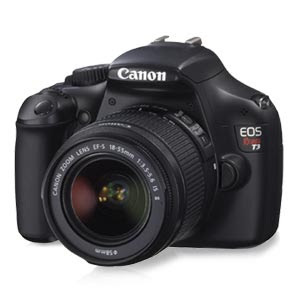 Canon Digital SLR Camera Is Coming Over! I love camera. I love to be photograph. I am not a model but I love pictures. I want to collect pictures in every angle. I got my very first camera last Christmas and it is a digital one. I am happy for that. I am taking care of it and I want it to last! It has a value! Well, a friend of mine wants to have slr camera and two days ago I was with her in the mall checking out. Her husband will buy for her and that is one of her dream camera too. There were lots of slr cameras and I fell in love with them while checking. They look so professional and nice! My friend is really excited to get it before Christmas. So maybe I can try to borrow her and check out more features on it! This entry was posted on 12:57 PM and is filed under Blogging , digital slr cameras , slr cameras . You can follow any responses to this entry through the RSS 2.0 feed. You can leave a response, or trackback from your own site. I've been dreaming to have an SLR camera for a long time. Hinaot naa muhatag nko bisan isa nlang. @hopeful... hahahah bitaw sis nice ni no... akoa digital man lang sad kay wala ko ipalit aning kamahal. LOL! Hulat nalang ko pud naay mohatag waaa..